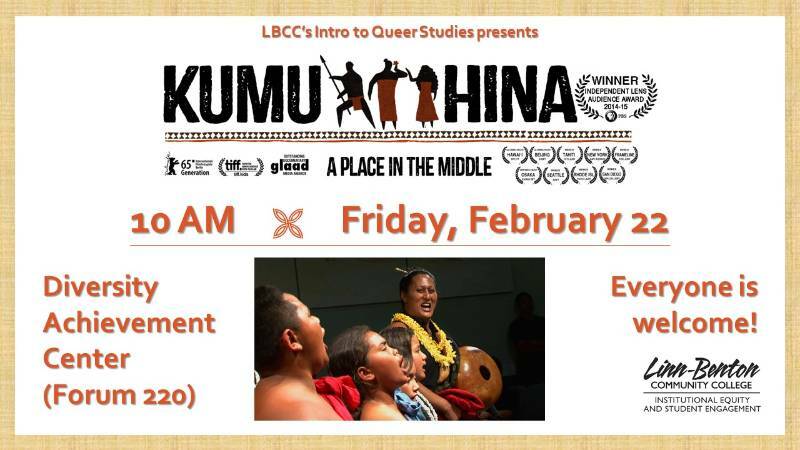 Join LBCC's Intro to Queer Studies class and the Diveristy Achievement Center for a screening of the film "Kumu Hina." KUMU HINA is a powerful film about the struggle to maintain Pacific Islander culture and values within the Westernized society of modern day Hawaiʻi. It is told through the lens of an extraordinary Native Hawaiian who is both a proud and confident māhū, or transgender woman, and an honored and respected kumu, or teacher, cultural practitioner, and community leader.